So I am suppose to go in and get lab work done in 5 days, but I am too impatient, so I took a home test and for the very first time ever….. I had a positive result. It was a very faint positive, but still it was there. 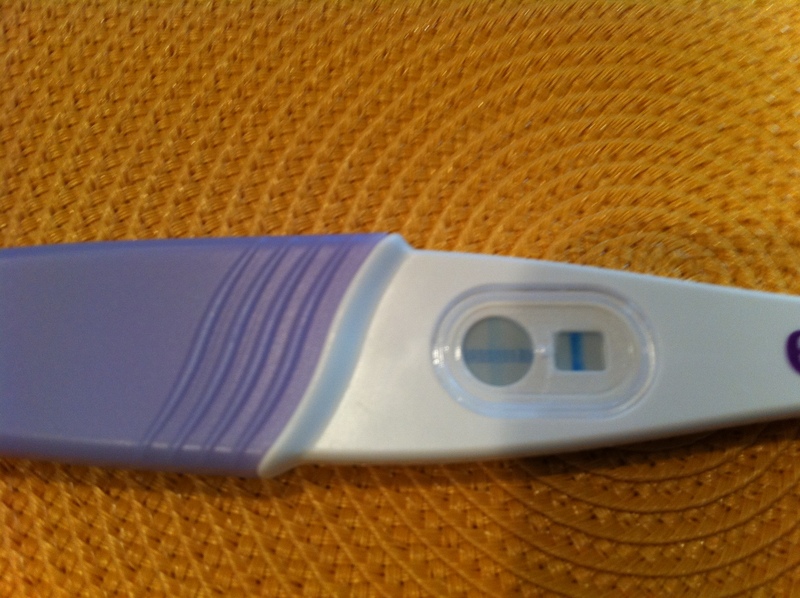 When Bryan came home from work, I told him I had the very best anniversary gift for him ever – and I showed him the test. He was speechless & totally thrilled. We went out for dinner that night and all we could think about was “we might be pregnant right now”! We’ve done tons of IVFs, but its still amazing every time to see the embryos through the microscope. 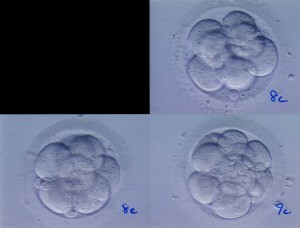 Our doctor transferred three of our embryos for the IVF. Here they are just a few hours before the transfer. 2 other embryos went to the freezer.